Information on the Florida housing market. Call MLR Realty at: 1-305- 673-3303 to get a consultation with a Miami realtor specialized in Miami Florida real estate and the Florida housing market. This section of Miami-Info is dedicated to providing real estate investors with information pertaining to all aspects of Miami Florida real estate and Miami Beach real estate properties so that they may better understand the Florida housing market. A wealth of Miami Dade real estate information is provided and will be updated on a weekly basis to the readers so that they may get a more accurate picture of the Miami real estate market. So before you invest in any Miami Florida real estate, please read and analyze so that you make smart real estate choices. Below you will find useful information related with Miami Florida real estate and the Florida housing market such as new condos in Miami and Miami commercial real estate tips such as how to invest in motels in Miami. Miami real estate - Miami Lodge Realty is a leader in the industry with extensive knowledge of Miami Florida real estate and the Florida housing market. Prices for the ICON Brickell Miami downtown condos have been cut to as little as $261 a square foot which ia a 51% discount on the average closed sales price in the complex to date. An affiliate of Credit Suisse took possession of the 334-room Gansevoort South after no bidders stepped up at a New York auction to buy the debt. Banks seized more than 30,000 South Florida properties through foreclosure last year; a 16% increase since 2008. Fewer people are cutting prices for their homes for sale in Miami in December. Fannie Mae announced a program that could increase sales of existing Miami Beach condos. According to a new survey, fewer potential homebuyers are willing to purchase Miami houses for sale that have been foreclosed upon. Alex Rodriguez of the Yankees just reduced the price of his Coral Gables mansion. According to McGraw-Hill Construction’s annual industry outlook, the level of construction starts in 2010 is expected to jump 11% to $466.2 billion. Florida's Foreclosures Slow Down but Still Fourth Worst in U.S. According to a quarterly report by a real estate research company and even as foreclosure filings rose across the rest of the nation, less people were hit this summer with bank notices for Florida foreclosures. South Florida's beat-up condo market just got a major new player, Starwood Capital Group. A new report claims that the Miami real estate market as well as the rest of the US will deteriorate as a delayed pipeline of foreclosed loans begins to liquidate. Miami real estate gets another ‘Star Studded’ resident- Jennifer Lopez and Marc Anthony are supposedly buying a three-bedroom, two-and-a-half bath, 2,050 square foot Miami condo at Icon. Miami-Dade County’s property tax calculator is now showing the proposed “flat tax” commissioners recently approved. This is great news for those Floridians who now have a chance to purchase Miami real estate at discounted prices. The landlord is no longer the one pulling all the strings and more than ever it's a tenant's Miami commercial real estate market. It is the best time to lease stores in Miami! 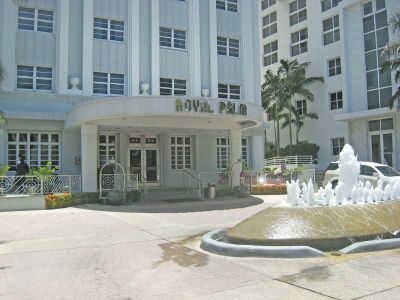 If you are looking to buy Miami Beach real estate or a Miami investment property, now is the time! The following are a series of articles pertaining to foreclosures Miami and Miami homes for sale. The kind of Miami apartments and amenities that young professionals can afford today are more luxurious than most could have ever expected to live in. Miami foreclosures are affecting everybody and being famous doesn't save you from the bank, as rapper and producer Wyclef Jean has found out. New Trends: Brickell Going Up! Miami Beach architecture and overview of its evolution. Sammy Sosa is suing Williams Island Ocean Club, developer of Acqualina Ocean and Resort in Sunny isles. Inc. Magazine delivered the list of annual job growth ranking in its may issue. Even though South Florida unemployment is still low new data released Friday shows the region has added more jobs than any other part of the state during the month of April. Miami's expanding skyline, a major real estate redevelopment. Midtown Miami has become an up-and-coming urban Miami real estate neighborhood after its $2.3 billion multi-block reconstruction.